KABUL, Afghanistan -- An American soldier from New Jersey has been killed fighting in eastern Afghanistan. The U.S. military said 34-year-old Sergeant First Class Mihail Golin, of Fort Lee, was killed and four other soldiers wounded in the January 1 battle in the Achin district of Nangarhar province. It said two of the wounded were in stable condition and the other two have returned to duty. 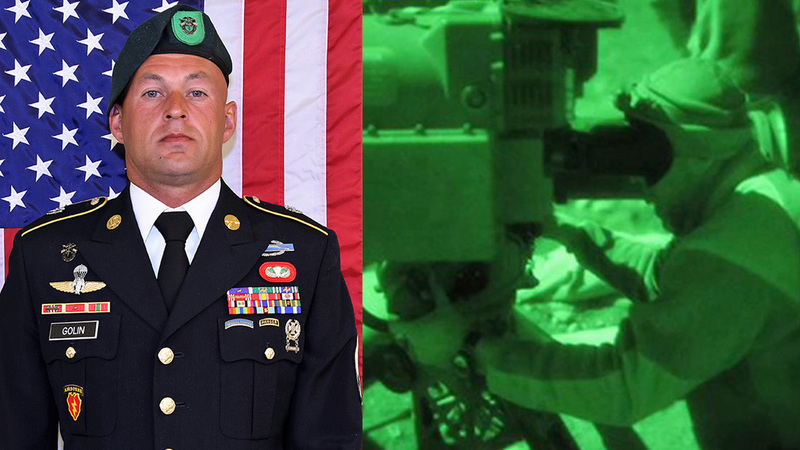 Golin was an 18B Special Forces Weapons Sergeant assigned to 10th Special Forces Group (Airborne). He was born in Riga, Latvia, on August 20, 1983, and moved to the United States in October 2004 and enlisted in the U.S. Army on January 5, 2005. Gen. John Nicholson, the top U.S. commander in Afghanistan, says "we are deeply saddened by the loss of one of our own." The United States formally concluded its combat mission in Afghanistan at the end of 2014 but still carries out operations against the Taliban and an Islamic State affiliate, both of which are active in Nangarhar.